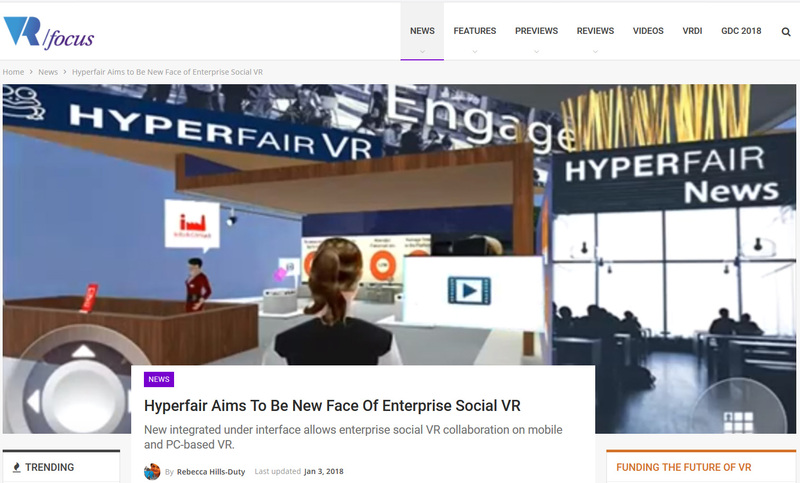 VRfocus, a UK-based specialist technology news website, talks about the newly launched Hyperfair VR integrated user interface for enterprise social VR in their article Hyperfair Aims to Be New Face of Enterprise Social VR. Check it out HERE! 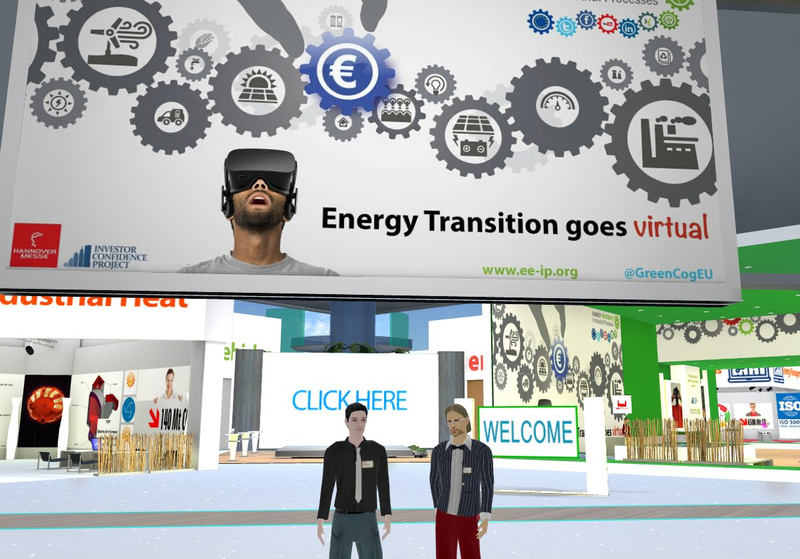 To learn more about Hyperfair and our customizable virtual environments for enterprise, visit us at hyperfair.com. 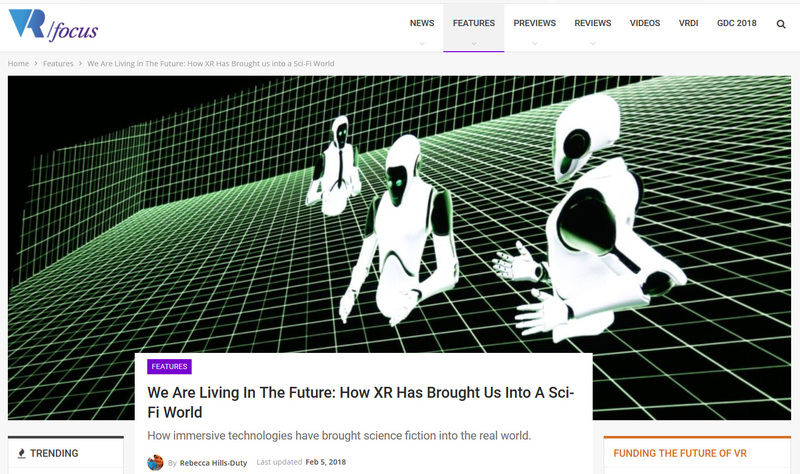 “Hyperfair VR is poised to revolutionize the way business is conducted…” – AR Post The AR Post, a website dedicated to providing the latest news, reviews and opinions on augmented reality and virtual reality, gives their opinion on Hyperfair’s new User Interface and Mobile App! Check it out at HERE! Hyperfair among Digi-Capital’s AR/VR Leaders at the start of 2018! Hypefair is identified as a VR leader for Enterprise in the AR/VR advisor Digi-Capital’s new Augmented/Virtual Reality Report and Deal Database Q1 2018. 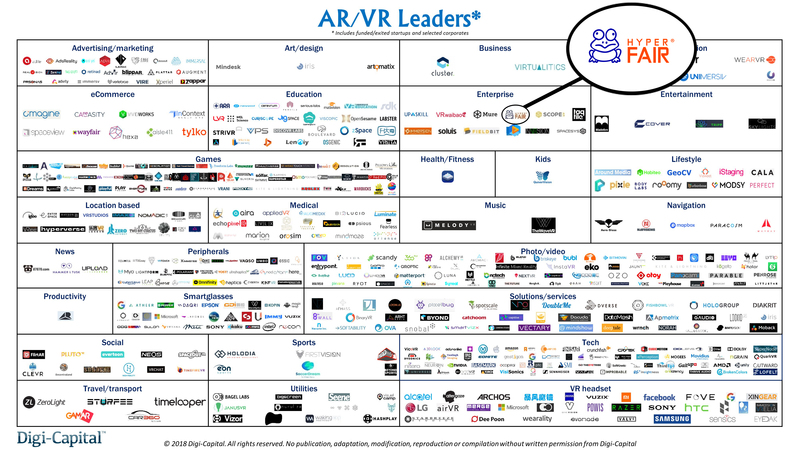 See an overview of the report featured in an article titled “Digi-Capital: 2017 saw $3 billion invested in AR/VR, half in Q4 alone” on venturebeat.com. © Copyright 2019 Hyperfair, Inc. All rights reserved.